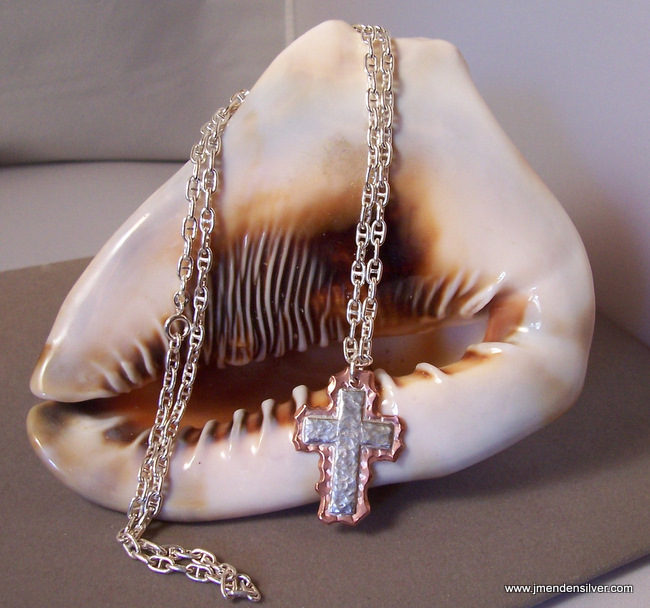 This is an example of a custom designed cross. It features hammered sterling over thick copper which has an edge that I like to think looks torn out as if torn from paper. It is difficult to list a price for this because it totally depends on the size and type of chain desired. This item is meant as inspiration and not as something to copy.